3 December , 2018 – Two PAYCE projects – Harts Landing at Penrith and Jewel/Pierside at Wentworth Point – have been named finalists in the 2019 Property Council of Australia‘s National Innovation & Excellence Awards. 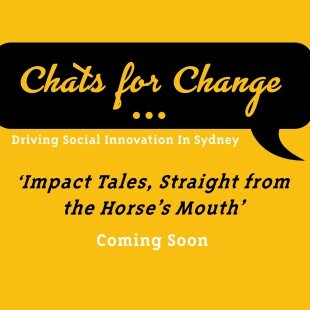 The finalists will be judged by the Council’s national panel of industry representatives and the winners announced at a Gala Dinner and Awards Night at the International Convention Centre in Sydney on 17 May 2019. The prestigious awards provide an opportunity for the Australian property industry to recognise exceptional projects, businesses and professionals across the country and reward both leaders and up-and-coming talent. The joint PAYCE/Evolve Housing project, Harts Landing, was nominated in the category of Best Affordable Housing project and the joint PAYCE/Sekisui House Australia project, Jewel/Pierside, was nominated for Best Multi-Use Development. The $100 million Harts Landing mixed tenure residential project developed by PAYCE in collaboration with community housing provider, Evolve Housing, delivered 268 apartments comprising 128 affordable apartments, 10 social housing apartments and 130 private apartments. PAYCE Director, Dominic Sullivan said Harts Landing was a wonderful opportunity to create something special in urban renewal on a vacant site, close to jobs, transport, shopping and recreational amenities. 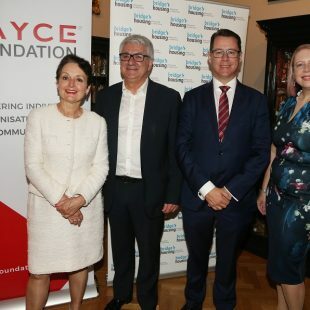 “Harts Landing demonstrated how community housing providers and private developers worked together along with government to successfully provide affordable accommodation and where residents enjoy a wonderful lifestyle and the benefits of a host of amenities at their doorstep,” he said. 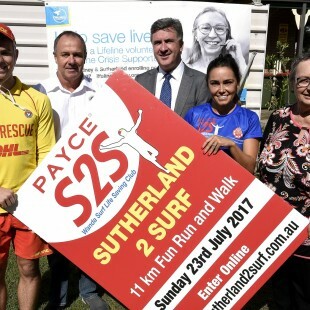 “Congratulations to our development partner, Evolve Housing and to all the team who contributed to this outstanding, unique project,” Mr Sullivan said. 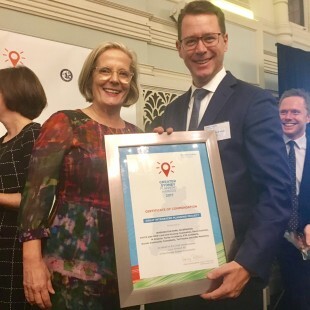 The project has already picked up a number of major awards, including Best Affordable Housing Development in this year’s Urban Taskforce Development Excellence Awards and a Highly Commended Award for Business Partnership in the PowerHousing Australia Awards. Located adjacent to the Sydney Olympic Park ferry wharf terminal and bus terminus at the northern tip of Wentworth Point, Jewel and Pierside were developed jointly by PAYCE and Sekisui House Australia. 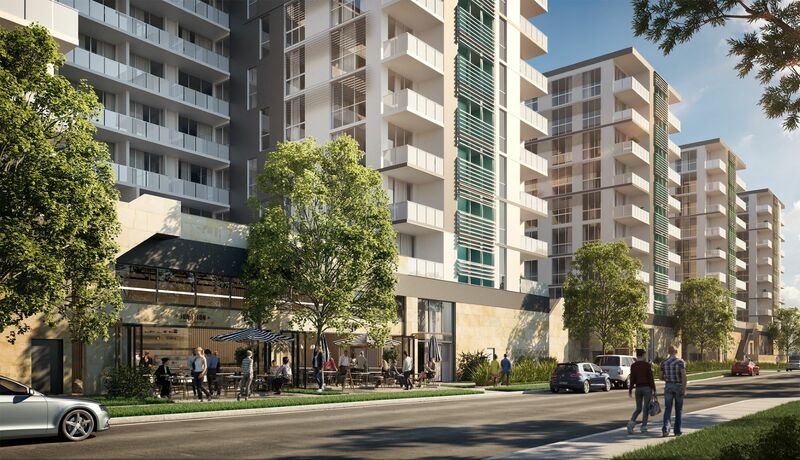 Jewel comprises 256 apartments spread across three low-rise buildings in private and public landscaped surrounds. The retail complex, Pierside, includes restaurants, an IGA convenience store, beauty and hair salons, a juice bar and a childcare centre. Mr Sullivan said Jewel offers fantastic harbour lifestyle living in the heart of the Sydney Olympic Park precinct. “Pierside’s al fresco dining and relaxed environment, along with the expansive water views have proven to be a popular drawcard for local residents and thousands of visitors to the area,” he said. The project has also won its share of awards, including a Gold Award for Best Opening Event – Marketing Event Experience and Gold Award for Best Architecture – Mixed Use – Constructed in the 2018 Sydney Design Awards. 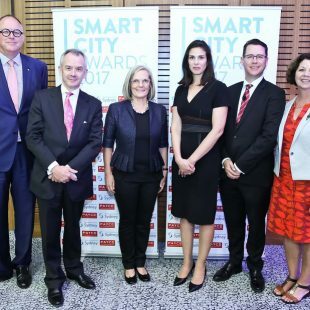 Mr Sullivan said the Property Council of Australia Awards are among the most coveted in Australia and he looked forward to the award winners being announced next year.